On 1 December 2017 we launched a project for the event The Days of Grzegorz Ciechowski. 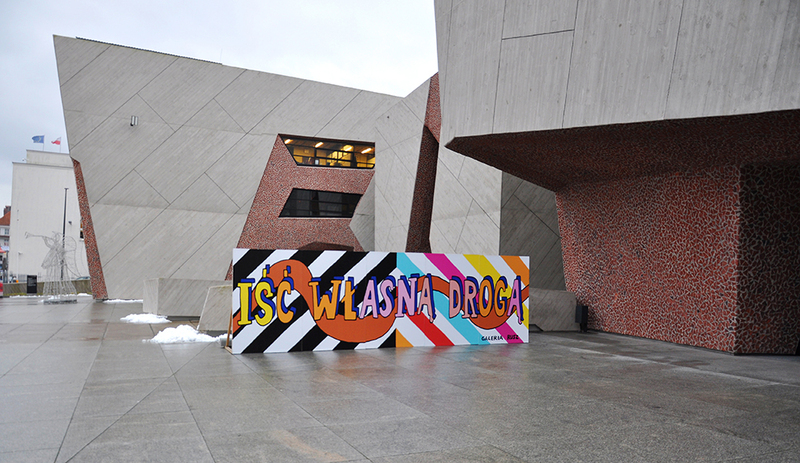 The artists traditionally prepared some works inspired by Ciechowski – billboards and an interactive mural combined with an artistic piece. This time, Joanna Górska and Rafał Góralski focused on the courage to search for and choose one’s own way. Ciechowski is an example of an artist always searching for his own way. His output was not always warmly welcomed. He often met with misunderstanding and a lack of appreciation. Despite that, however, he went his own way. His inner strength made him one of the most interesting artists of the Polish music scene, a musical symbol of the 80s and 90s. Despite the passing of time, he can still inspire us to be courageous to use our imagination, to create our own life and to go our own way. 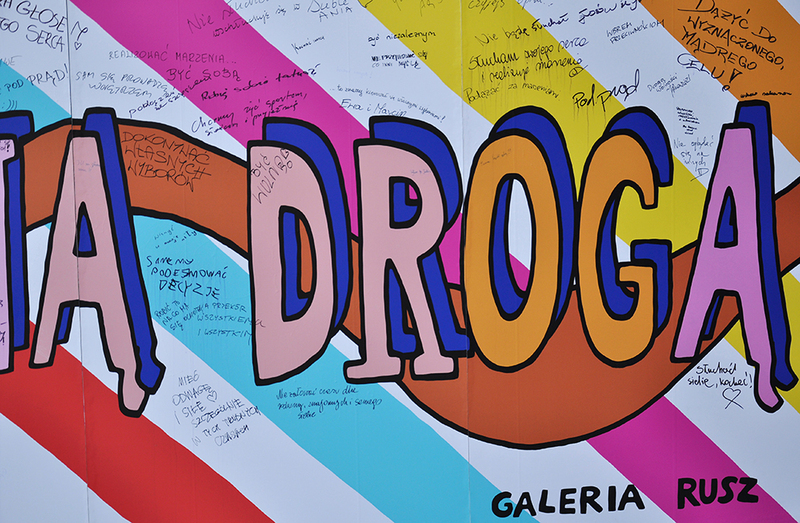 The artists from the Rusz Gallery also prepared an interactive mural – “One’s Own Way” – and invited people to co-create the mural. The event took place on 14 December, at 19:00, in front of the Jordanki Cultural and Congress Centre. 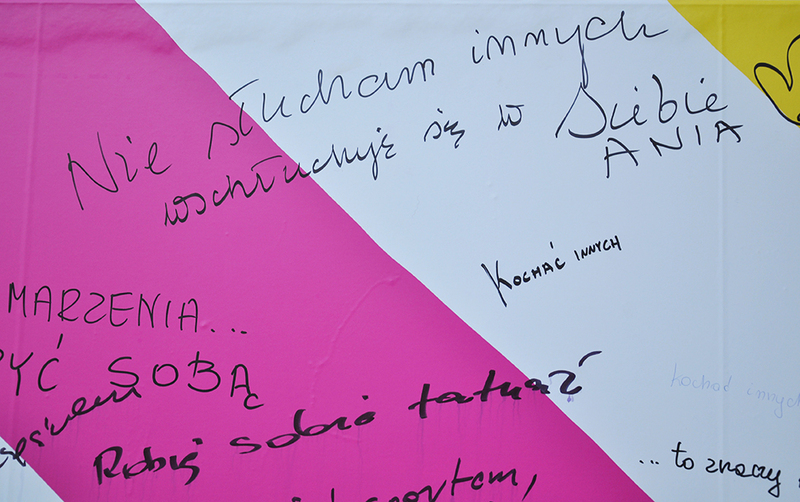 The participants were encouraged to write their answers to the question: “What does going one’s own way mean to me?” Later, the mural was exhibited in front of the Jordanki CCC for all The Days of Grzegorz Ciechowski”. 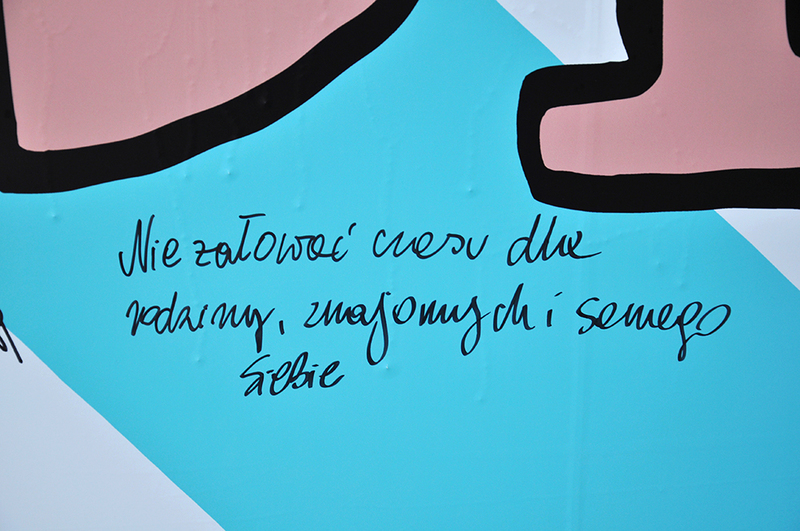 The project was undertaken as part of “The Days of Grzegorz Ciechowski” and organised by the City of Toruń. The project has been funded with support from the City of Toruń.